If there's one thing big breeds need it's a big, bold taste! 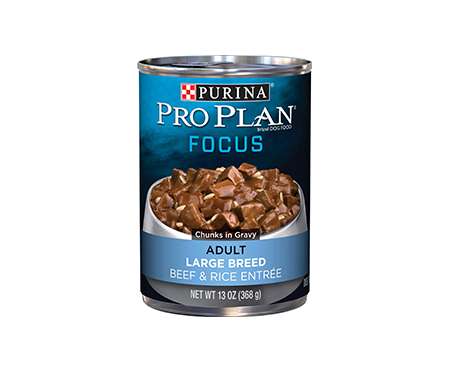 Purina Pro Plan Focus Adult Large Breed Beef & Rice Entree Chunks in Gravy Canned Dog Food is a rich and savory dish made with premium chunks of beef and liver smothered in a yummy gravy. 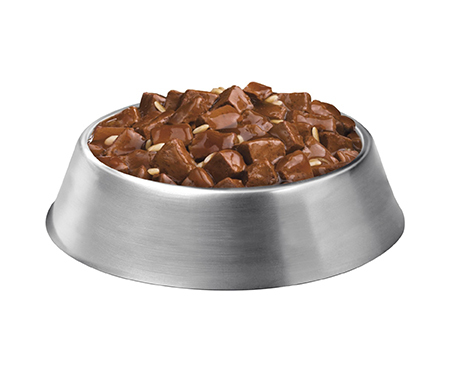 It's rich in calcium to keep overloaded bones strong and dense and perfect for dogs over 50 pounds.